Dubai, UAE, January 28, 2016: Worldwide spending on global Halal food and lifestyle products could rise 10.8% a year until 2019 to create an international industry worth US $3.7 trillion, according to the latest Global Islamic Economy Report. At the same time, the Halal tourism sector – a huge driver of food, beverage and hospitality sales - has also advanced following product investments in the UAE, the Maldives, Spain, Japan, the Philippines and Russia amongst others. The lucrative Halal tourism market now represents 11.6% of global tourism expenditure - excluding the busy Hajj and Umrah seasons – and is expected to be worth US $238 billion by 2019. The UAE’s advancing status as an international centre for Halal food trading is evidenced by Halal World Food – the world’s biggest annual Halal food sourcing trade event – featuring more than 800 certified suppliers in only its third year. 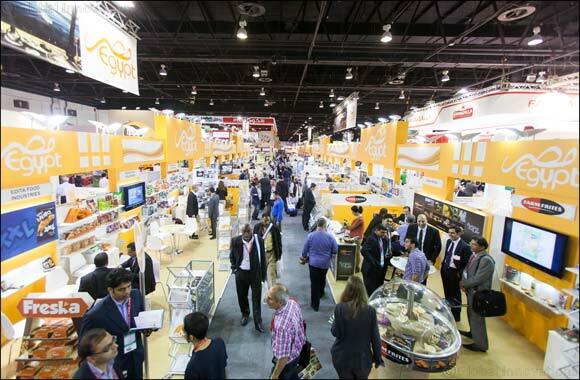 The segmented show-within-a-show concept at Gulfood 2016 returns to Dubai World Trade Centre (DWTC) from February 21-25. Becoming a trusted name and solutions provider in the global Halal food sector and a destination of choice for Islamic families are among the seven strategic objectives of the ‘Dubai - the Capital of Islamic Economy’ initiative launched in early 2013 by His Highness Sheikh Mohammad Bin Rashid Al Maktoum, Vice-President and Prime Minister of the UAE and Ruler of Dubai. The global Halal food sector also underpins this year’s two-day Gulfood Conference programme at the five-star Conrad Dubai hotel from February 22-23. The Gulfood Halal Forum – a dedicated summit on February 23rd - will examine the potential of and opportunities across the global Halal economy, the regulations and trade procedures behind exporting Halal products to the GCC, Halal food and Dubai’s economic ambitions, growing Halal demand and the ratification of new GCC standards and the global call for unified Halal practices.